Gabi Gregg is the woman behind the popular blog Gabi Fresh. 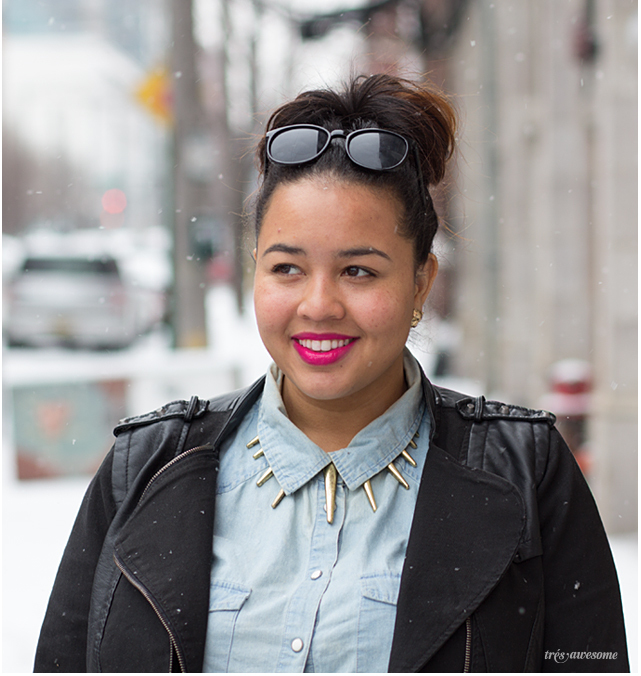 Her site showcases her amazing style and mega cool personality all while promoting a healthy body image for women. I took these photos of Gabi outside of Nellcote at the "Fashion Weak" Brunch I hosted with Latterstyle, Avant Blargh and Emerging Thoughts. Check out Gabi's article on Rookie Mag about the nonsense our society spews about everyone should do their damndest to look as skinny as possible, and therefore certain styles and shade are off limits to us. Well Gabi says it aint so, especially big chicks wearing white or light colors. 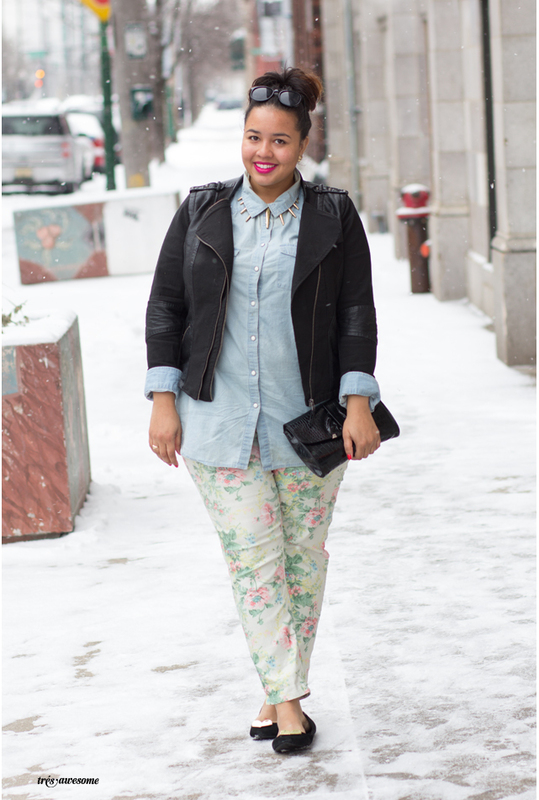 So here she is looking fabulous in a pale floral print pant and light blue button down. Well done Missy. GABI is my hero. Love that girl.